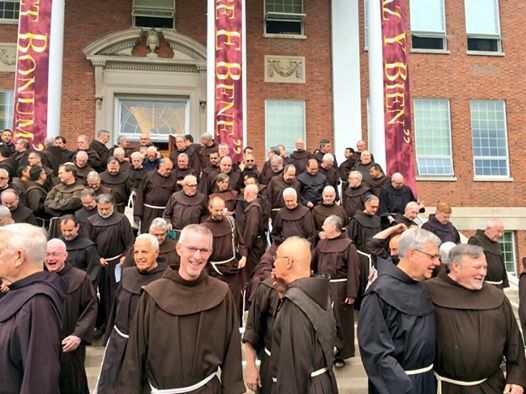 Every three years, the friars throughout the world come together within their respective provinces in what is called a “chapter.” At this meeting, new leadership is elected, reports are made about the previous three years to identify areas of success and failure, legislation is presented and voted on, and direction is given for the future. In many ways, the focus of these meetings is very practical. This, I might say, was not what I experienced this past week, nor is it what I think Francis had in mind when he instituted it 800 years ago. Sure, we elected a new Provincial, Vicar, and Provincial council; sure, we went over the financial report of the province, heard presentations from each of our directorates, and voted on a new course of action; and sure, we even heard an hour and a half speech by a friar from another province, appointed to us by Rome to spend six months in our province as a consultant and meet with each individual friar for an hour (I wrote about this in Canonical Visitation). But these are not the things I will remember in thirty years. Only a short time had passed when Saint Francis began desiring to see them all. He prayed to the Lord, who gathers the dispersed of Israel, mercifully to bring them together soon. So it happened in a short time: they came together at the same time according to his desire, without any human summons, giving thanks to God. Coming together in one place, they celebrate with great joy on seeing their devoted shepherd and they are amazed that the same desire to come together moved all of them in this way. They report the good things which the merciful Lord was doing for them, and if they had been somewhat negligent and ungrateful, they humbly ask and carefully accept correction and punishment form the holy father. One can only imagine (and will have to because I will not go any further into detail!) the stories that are told by a group of men that love one another, see each other very infrequently, and live such unusual lives! I heard stories about their early years, mistakes they made, and embarrassing situations; I heard stories that only close friends can tell about one another, ones that made me laugh until my sides hurt; I heard stories about their ministry to the marginalized, their successes and failures in tough situations, and the extraordinary people they met; I heard about their hopes for the future, their sources of inspiration, and the struggles they will face implementing them. Formally, a chapter is a place and time for very important practical matters; without an administrative structure we would be like a heard of sheep running amuck. In reality, however, a chapter is a time for the fraternity to step outside of the world in order to catch up with itself. When you think about it, we spent a lot of money and took 250 men out of the workforce for five days or more when we could have put that all towards the poor. That’s true. But where would we be without our relationship with our brothers? As brothers, we rejuvenate one another’s spirit through prayer and reflection; we offer each other the spark of inspiration to keep us fresh in our work; we hand down the gentle (or sometimes not-so-gentle) fraternal correction to keep us healthy, all while making each other laugh like we’ve never laughed before. This fraternal chapter was a good one. I have little with which to compare it, but the response was overwhelmingly positive: there was a buzz of excitement from the brothers about where we stand and what the future holds. 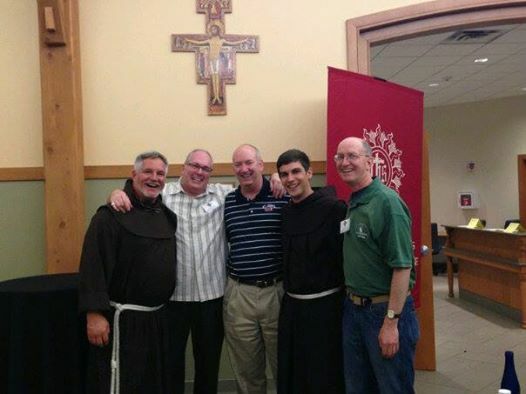 All I can say is that it is an exciting time to be a brother in the Order of Friars Minor!